This article is designed to help you create a SEO-strong portfolio blog post. It covers the ten key metrics that should be worked into blog posts displaying your most recent work. If you’re a photographer or artist, this article is for you! For SEO-strong topical content-driven articles, please see On-Page SEO for Topical Posts. By portfolio posts, I’m referring to any image-focused post where a photographer or artist displays their work. Before we look at the 10 key metrics required for SEO-strong blogging, let’s talk about keywords. Any post or article begins with an idea … more precisely, an idea captured in a keyword phrase. That is, if you intend your post or article to perform well in search results. However, unlike content-driven topical posts which are rich in keyword phrases, displaying your recent work or sessions means your pool of keyword phrases is limited. Why? Because you don’t want to use the same phrase repeatedly. In fact, you should ideally aim to use a keyword phrase just once, or you end up competing against yourself! Must every post be optimised? Even in this simple exercise, you achieve some SEO merit. Posting regularly keeps your site active (dynamic) and Google appreciates an active site (over a dormant/static one). That said, creating posts that are SEO-strong is not just smart, but an optimum use of your website’s capabilities. If you’re up against competitors who have content-driven posts, you’ll have to take this more seriously, but if your competition is less assiduous, you need simply outdo them. 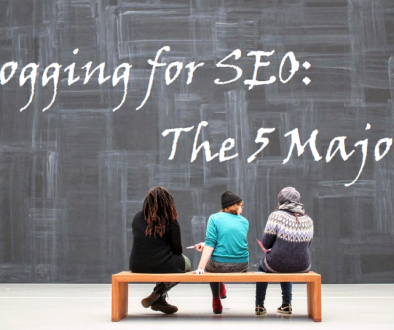 For many in the photography industry, aiming at one SEO-strong blog post a month (or every six weeks) will probably be sufficient. Okay, back to keyword phrases, where an idea finds a hook to hang upon. Technically speaking, a blog component should be content-driven (i.e. high on content, using multimedia to support that content). That’s what a “blog” actually is. Blogs high on photographs but low on content won’t rank well. 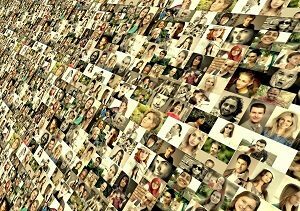 Individual multimedia components, particularly a video or an infographic (or cartoon), has the potential to go virile, but blog posts that merely display a heap of images can actually hurt a blog feed. This is why WordPress distinguishes between Portfolios and normal blog Posts. Ideally speaking, you should reserve content-focused posts for your blog thread and display your recent work or sessions via the portfolio component. (Not all WordPress themes allow for portfolios, mind). This means that site visitors can get what they expect from a blog feed (i.e. content-rich article posts) and get what they expect from portfolio posts (i.e. showcased session work). That said, most photographers, who run their own businesses, don’t have the time to create content-heavy posts and therefore use their blog feed for both, mainly displaying their recent work with the occasional content-driven post sandwiched between. Get this down for good. First, build your site’s Home page around your primary keyword phrase (and other main pages around keywords pertinent to niche areas). Second, create blog posts around similar but distinct keywords that supports these main pages (rather than competing against them). For example, if “maternity photography” is the primary thing you do, your Home page should be built around this phrase. (If “maternity photography” is one of your niche areas, you should build a main page, like a focused maternity gallery, around it). If you now create a blog post focused on “maternity photography,” you’re undermining your own Home page. Instead, create a post around a related or shoulder keyword. “Pregnancy photography” or “expecting mum photography” are two related keywords phrases you could use. “Before the stork arrives” or “what to do while you’re expecting,” are two playful shoulder phrases that would work. (Note: they’re shoulder because they don’t directly reference “maternity” or “photography”.) Got it? Good. PS. I’ll offer some more suggestions below. For our example, we’re going to pretend that our business name is Panoramic Views and our primary focus is landscape photography. Assume that we’ve built our Home page around that phrase and we also have a main page that is a dedicated image gallery of our best work. Secondly, it must contain your keyword phrase. Ideally, you should aim to place the phrase at the beginning of the title. For example, Scenic Photography: Breathtaking Vic Falls is better than Vic Falls Provides Breathtaking Scenic Photography. Thirdly, your title should be informative but an accurate reflection of your post. Use questions, random numbers, quirky statements, specific locations, expressive language or current trends. But avoid click bait—misleading titles that don’t marry with the content. For our example, we used a specific location (Vic Falls) and expressive language (breathtaking). If you do on-location photography, this is a perfect opportunity to possibly rank for the location, too. This includes the phrase “wedding” but in a way that’s unique. You’ll never have another post titled the same way (remember: every post title must be unique). Including the location can also help in search results. You can leave out the adjective (“stunning”) but it makes the title a little more engaging. The slug shouldn’t be too long. At the most 5-6 dashes. 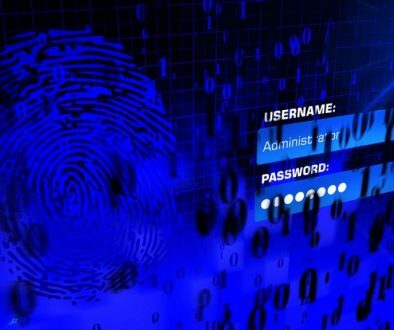 But it must also be unique, so include the location, client names and if necessary, an abbreviated date. These modifiers, in our case “Vic Falls,” make this permalink unique. If there’s a chance that you’ll write another post related to the topic “scenic photography” in the future, then use apt modifying words to avoid duplicate links. That said, you should avoid writing posts focused on the exact same keyword twice. Or you’ll be competing against yourself. It’s better to update or improve an existing post than write a new post on the same keyword phrase. So, in our example, we turf out any unnecessary words (breathtaking) and include the keyword phrase along with the chosen modifier. That said, for image-driven portfolio posts, getting 300 words can sometimes be a struggle. Adding a quote or two, a few lines from a poem or song, a personal experience, a client testimony, are all novel ways to increase word count. As you’ll see in Point 6 (Optimised Images) below, you can also add to the content quota via your images. Add 5-6 feature-width images (see Point 6 below for specific details). 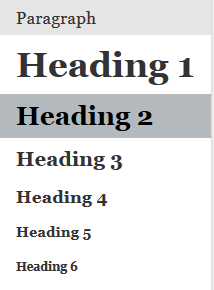 Add your H2 subheading immediately afterwards, followed by the bulk of your text. This way your images get prime space but you also fulfill your content quota. Of course, you can also add short captions to each each image to increase your word count. So, sprinkle a fair share of synonymous phrases into your content in place of the exact keyword phrase to hit around the 2% marker. Want me to be even more specific? Aim for 1% for exact-match phrases and throw in a few related phrases for good measure. Ideally, you should save the image under a name that includes your keyword phrase before you upload it to your site. For example, “Vic Falls Scenic Photography” is a better Image Name than “IMG_025,” which is meaningless to Google. But even more importantly, make sure your Image Title and the Image Alt-Text field includes the keyword phrase. 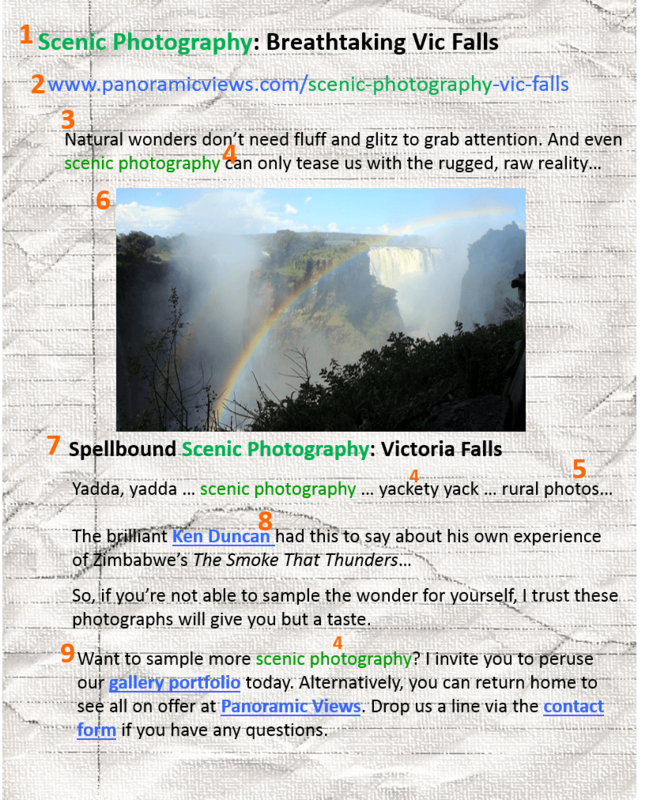 For the Image Title, you can simply use your Image Name: “Vic Falls Scenic Photography.” No need to worry about full sentences or punctuation. For the Alt-Text, it is advisable to not only include the keyword phrase, but also to write a short full sentence that is correctly punctuated to describe the image. “The wonder of Vic Falls captured in scenic photography.” Notice too, an image gives us the chance to increase keyword density. Yes, this counts towards your content quota. But resist the temptation to stuff this field with too much text. Image Dimensions: 1200px width by 800px height for portraits and 800px wide by 1200px high for landscape. In displaying your recent work, you’re no doubt going to use more than one image. However, stick to no more than 5-6 pictures (or use a slider if you want to display more). 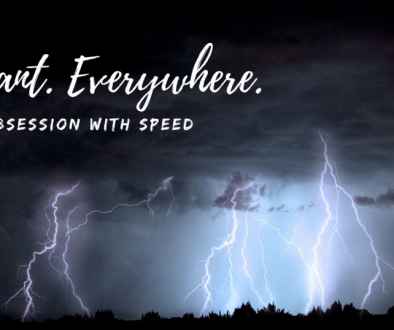 Too many images slows down page-loading speed. Plus, too many images gives your audience image fatigue. Rather operate on a less is more approach: leave them asking for more, then they’ll hang around to peruse more of your site. At the risk of redundancy, 5-6 images gives you 5-6 opportunities to increase your word count and increase keyword density (via the Alt-Text field). As a guideline, add the keyword in 50% of the images (not every single image), and remember to keep these sentences short, punctuated and descriptive of the image. Use it to actually help a site visitor who cannot see the image. See 6. Image Optimisation in On-page SEO: 10 Key Metrics for Topical Posts for advice on in-content images. In our example, our Post Title is: Scenic Photography: Breathtaking Vic Falls. For a sH2 heading, we tweaked that slightly to create a new, unique sub-heading, Spellbound Scenic Photography: Victoria Falls. In our example, a quote from Ken Duncan’s website is a big hit. And as a last resort, even Wikipedia is a valid source. In our example, our final paragraph includes internal links to our home page (Panoramic Views) and one of our main pages, our gallery. I linked to the Contact Form to encourage visitors to make contact. Also notice, I snuck in the keyword phrase into the final paragraph, too. The Meta Title is 60 characters. Perfect. Natural wonders don’t need hype to get our attention. Visit the breathtaking Victoria Falls via our scenic photography and experience the wonder today! The Meta Description is 151 characters. Voila! That’s it! I hope this example proved helpful. (I chose landscape photography for two reasons: first, to avoid competing with many of my clients, and second, to prevent verbatim copying of the example, which would lead to duplicate content problems.) I do recommend viewing the related post on creating SEO-strong topical posts. It will give you a second example from which to learn. How often must you blog? Short answer: more frequently than your competition. If you want to do this properly, portfolio posts aren’t sufficient in themselves. You will need to create topical posts too. So, ideally speaking, if you’re creating one topical post a month, creating one portfolio post a month should be sufficient. (i.e. two blog posts a month). This portfolio post could be a monthly highlights post which would offer more variety and more potential unique content. Post your portfolio’s link on your social media platforms with a short but punchy excerpt in order to drive traffic back to your website. With more tricks than a Swiss knife … and multiple screen shots, it covers on-page SEO far more comprehensively.